Scary WhatsApp "warnings" and other viral content shared on that platform have contributed to the fear and paranoia of many a user. Does an empty cool drink can on my pavement mean my house has been "marked" to be burgled? Are people posing as home affairs officials going to rob me? And is my Jack Russel going to end up in a dog-fighting ring? South African WhatsApp users often get bombarded by viral messages making a variety of claims, be it from a neurotic neighbour or a loony relative. It's often very difficult to distinguish between what is real and what is fake. On open platforms such as Facebook or Twitter, fake news or alerts are usually spotted by someone and reported. But on WhatsApp, fake messages are hard to spot and are often taken at face value. This is why fact-checking NGO Africa Check has decided to launch a service that can either authenticate or disprove content shared on WhatsApp. 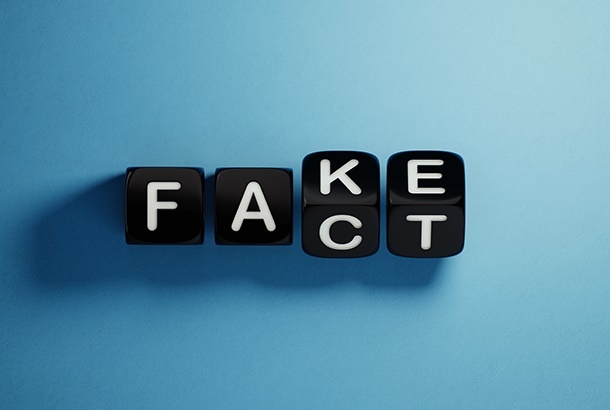 Kate Wilkinson, acting deputy chief editor at Africa Check, told News24 that the organisation will be launching a new fact-checking mechanism aimed specifically at WhatsApp users. "It is a 'show' of sorts that is going to be produced and shared as a voice note on WhatsApp," says Wilkinson. This is how it works: if you receive a dodgy WhatsApp or in any way doubt the authenticity of information that you received in a WhatsApp message, you can send it to Africa Check's dedicated WhatsApp number or tweet a screenshot to its Twitter page. "If they receive a viral video or something they think might be a hoax, they can forward that to us on WhatsApp. Over the course of a month, we will have a look at what we get and then put together a two- to three-minute breakdown of what is true and what not." The name of the 'show' is going to be What's Crap on WhatsApp, says Wilkinson, and will be produced by Africa Check and Volume Investigations, an NPO dedicated to the production of investigative audio shows and improving the state of radio journalism in Africa. "We have weekly broadcast lists where we send out a roundup of everything we have fact-checked - that's how we usually engage with people. So at this stage we will send it out as a broadcast to people who have added us and people can respond to us and we engage with our followers on WhatsApp and respond to follow-up questions." Wilkinson says it's extremely hard to determine the extent of fake news and bogus messages shared on WhatsApp. "We don't actually know. WhatsApp is often described as 'dark social media' because we don't know what is being shared on WhatsApp groups and people like the platform because they know that they can communicate without anyone [other than the intended recipients] seeing what is being shared. "We know that fake news is being shared on WhatsApp but we can't fact-check it if we don't know what is being shared. "If you look at the work we do with traditional media, such as Twitter and Facebook, we are able to see if something is amiss, but when it comes to WhatsApp we rely on users to send that information to us and we hope with the new voice note show that more people will learn about our work. We hope people will simply click 'forward' to our WhatsApp number so that we can check it out." Though the service has not been launched officially as yet, people are encouraged to start sending suspicious content to Africa Check's dedicated WhatsApp line, 073 749 7875 (South Africa only), or to tweet screenshots to its Twitter handle, @AfricaCheck. "Once we have a range of fact-checks to make we'll hopefully send out the first show within a month or so," Wilkinson says. "So far we've received viral videos of quite graphic violence that people have asked us to verify; we've also received what appear to be fake police warnings about criminals putting stickers on the back of cars and we've also received an interesting voice note about some sinister plot of criminals poisoning people before robbing them. "So we've been getting some really interesting stuff which, alarmingly, gets shared widely in WhatsApp groups. It's mostly about preying on people's fear, so we hope that our voice note show can help bring some reasonable thought into what people share on WhatsApp in South Africa. "That is why this is so important. We can't expect to keep doing our normal fact-checking and publishing it on our website, going on radio and TV and just hope that our fact-checks are going to end up in a WhatsApp group. "We need to produce content that can be easily shared on WhatsApp groups and voice notes and potentially images or short videos have a much better chance of countering false information shared on that platform."